AUBURN, Ala. (AP) With defensive stops hard to come by, Canyon Barry and the Florida Gators simply scored more than they had all season. 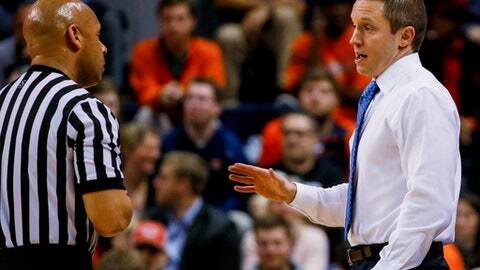 ”It was an odd game to me,” Florida coach Mike White said. ”Outside of early second half we never could find a defensive rhythm. They were fantastic offensively. They’re just very difficult to defend. Good thing for us it was one of those nights where we made a bunch of shots. We made a bunch of shots, we made a bunch of free throws. ”He was having a heck of a game, too, before he got hurt,” White said. Barry – who had his made free throw streak end at 42 – made 3 of 5 3-pointers and 11 of 12 foul shots.